Floyd Mayweather plans to knock out more undersized kickboxers. 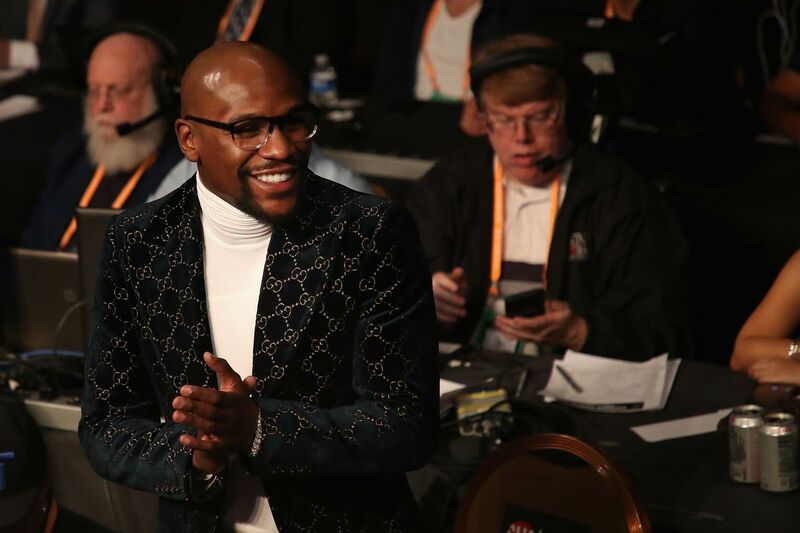 Floyd Mayweather isn’t done just yet — although maybe he is as it pertains to legitimate contests. But the undefeated fighter tells the media that he plans to take on some more exhibition fights in the future, and why wouldn’t he when he supposedly has over $80 million in offers. “You know what’s crazy?” Mayweather asked rhetorically. “The exhibition [against Tenshin Nasukawa] was supposed to be $9M, but I end up making $10M. Mayweather’s last exhibition against Nasukawa on New Year’s Eve didn’t even last one full round, with Mayweather pulverizing the much smaller kickboxer in a boxing match where anyone could’ve predicted the outcome. But at least we know we can look forward to a lot more of this, with Mayweather even saying he plans to throw Gervonta Davis in an exhibition match against the very same guy he just pounded a couple months ago.